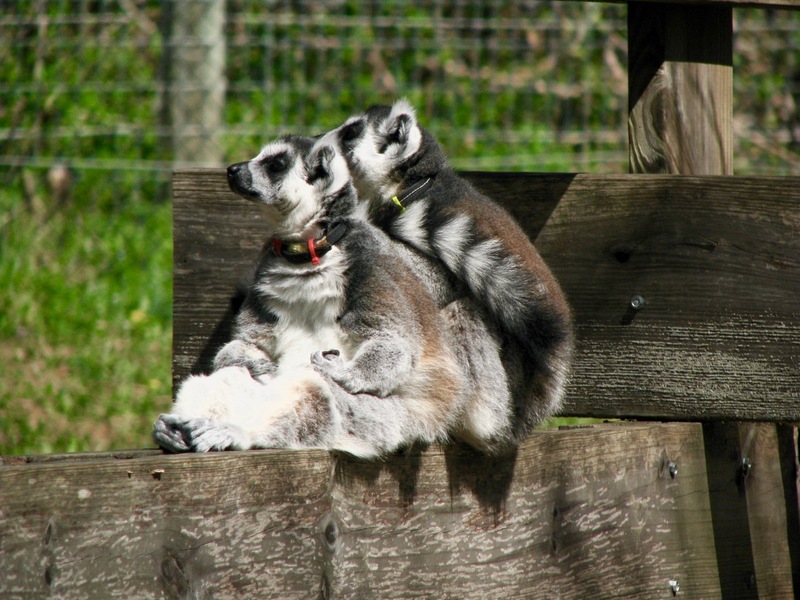 I’m a little embarrassed to confess that virtually everything I know about lemurs has come from my niece Kaitlin and my nephew Jack – seven-year-old twins. In my defense, they are authorities on the subject of lemurs, so I’m kept well informed. In fact, Kaitlin and Jack are authorities on a lot of subjects, reminding me of things I probably knew at one time, but in my rush to adulthood, I incorrectly deemed those things not important enough to remember. 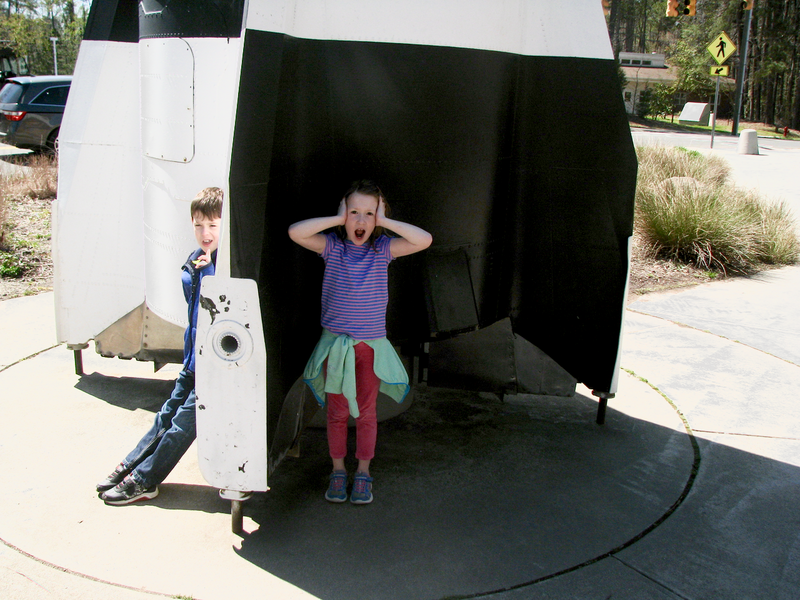 A trip to the Museum of Life and Science in Durham gave the twins a chance to re-educate me, while also testing my knowledge with a range of probing questions. On a warm spring morning, we set our step counters to zero and headed out for some low-impact exercise. 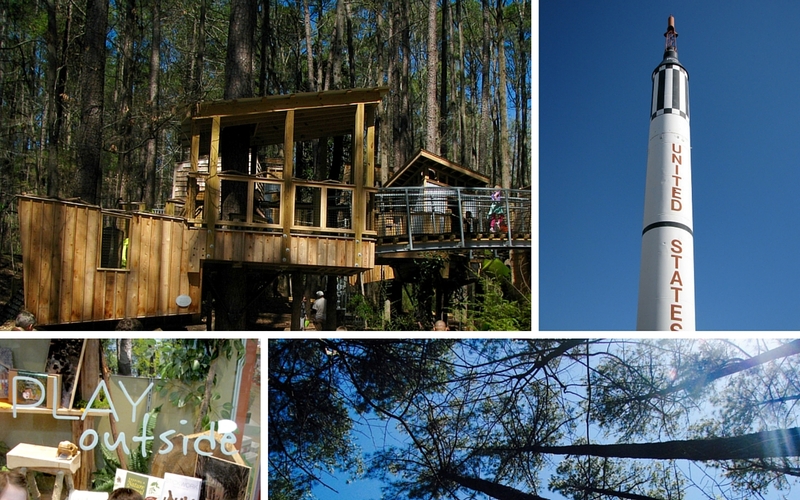 If you’ve never been to the Museum of Life and Science before, here’s a little of what you might see – and learn. 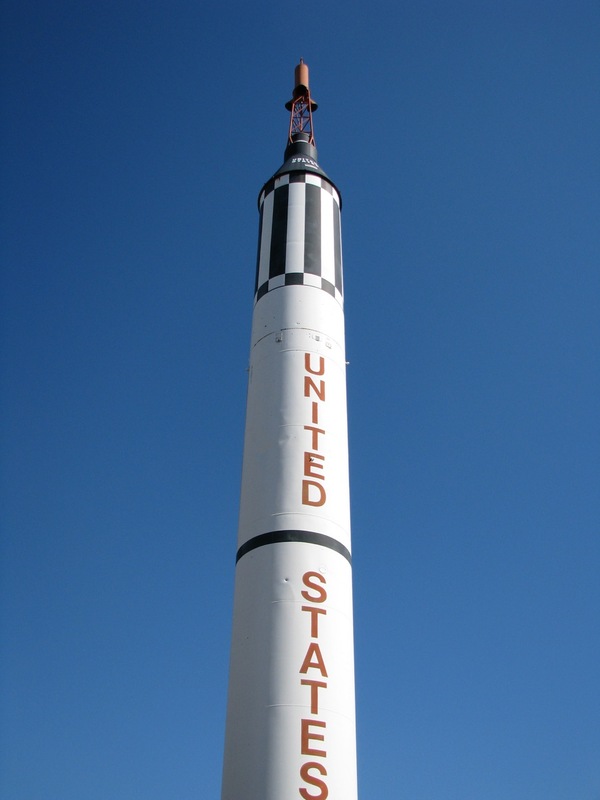 Jack: “Did that rocket fly to the moon?” No, it’s actually a replica of the one that carried the first astronauts into space. Yes, it would be awfully loud if you were that close to a rocket launch. But that would be the least of your problems. 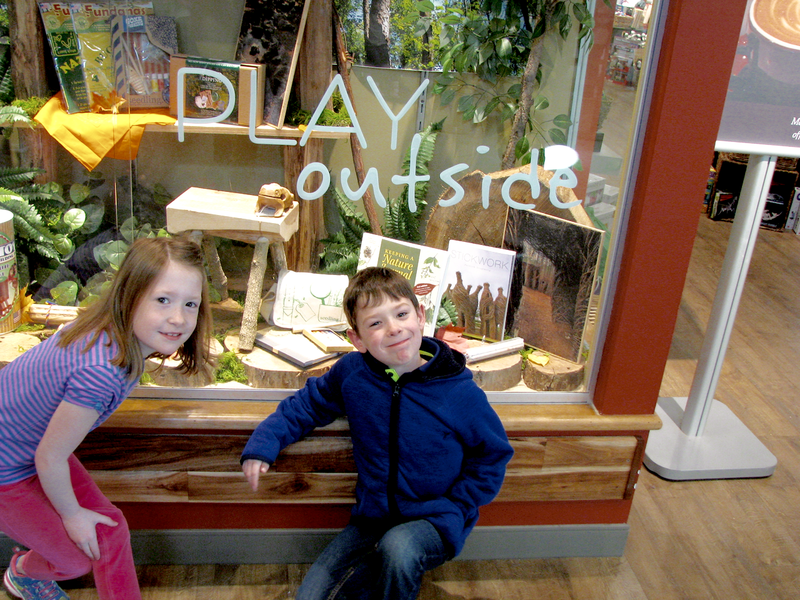 The window at the museum gift shop offers sage advice: “Play outside.” A half-second after this photo was taken, Kaitlin and Jack dutifully sprinted through the doors. Jack: “Some people get to ride a train every day to go to work. 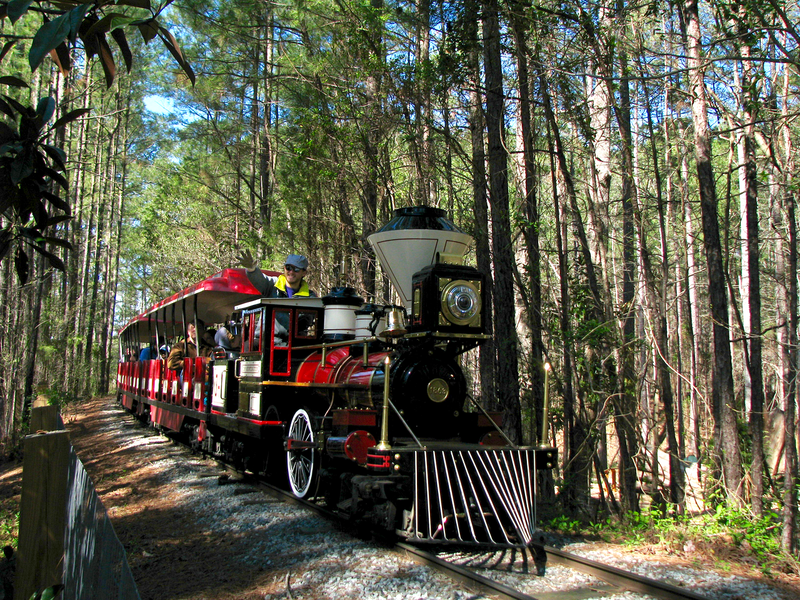 I hope I do when I grow up.” For now, the next best thing is a ride on the museum’s Ellerbe Creek Railway. 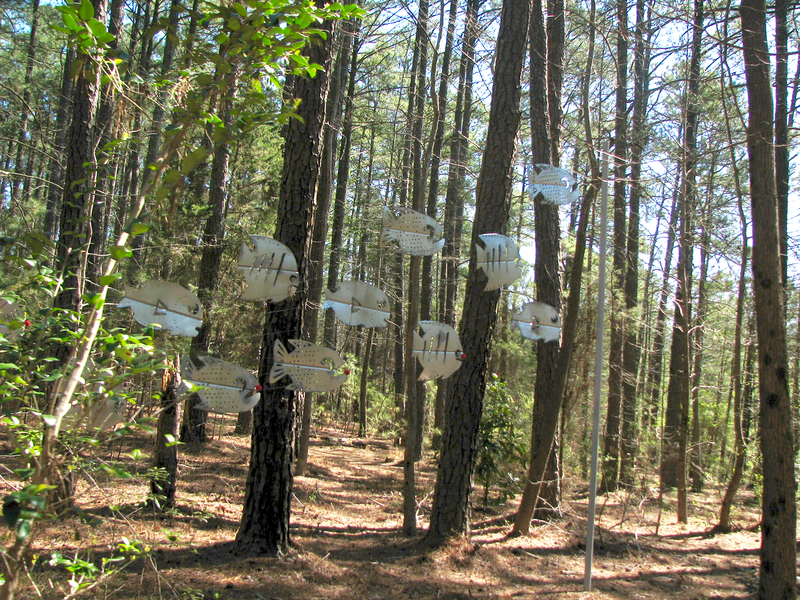 There is plenty to see along the train’s route, including a series of art installations. 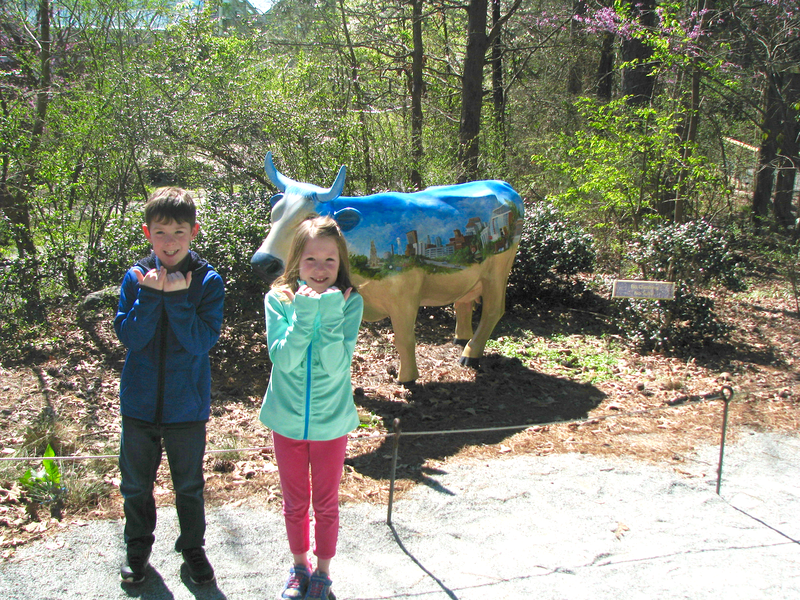 Although they live in New York State, Jack and Kaitlin enthusiastically demonstrated the Durham bull hand sign when they spotted the Good Luck Bull. Kaitlin: “Where do turtles go in the winter?” Me: “Florida.” Kaitlin: “Florida? !” No, not really. 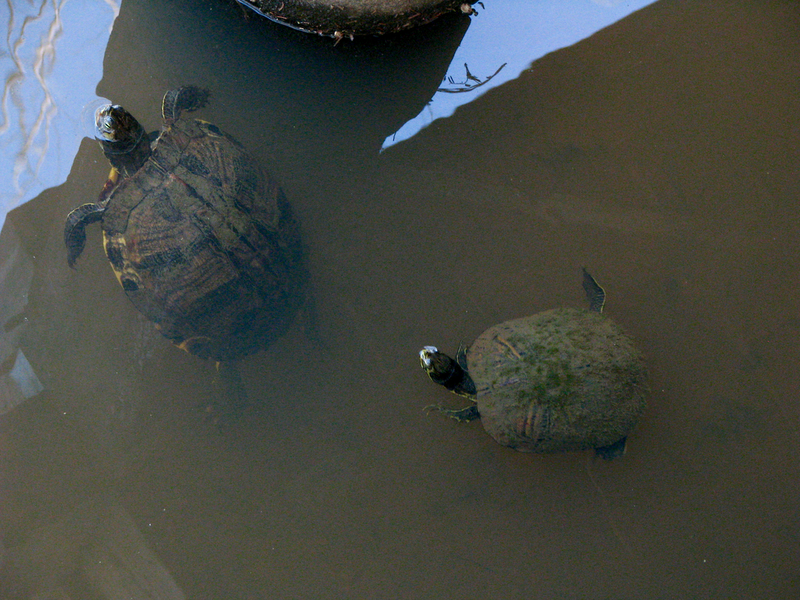 They go under the mud at the bottom of the pond. Kaitlin: “That bird is skinny. He probably wants something to eat.” Indeed. 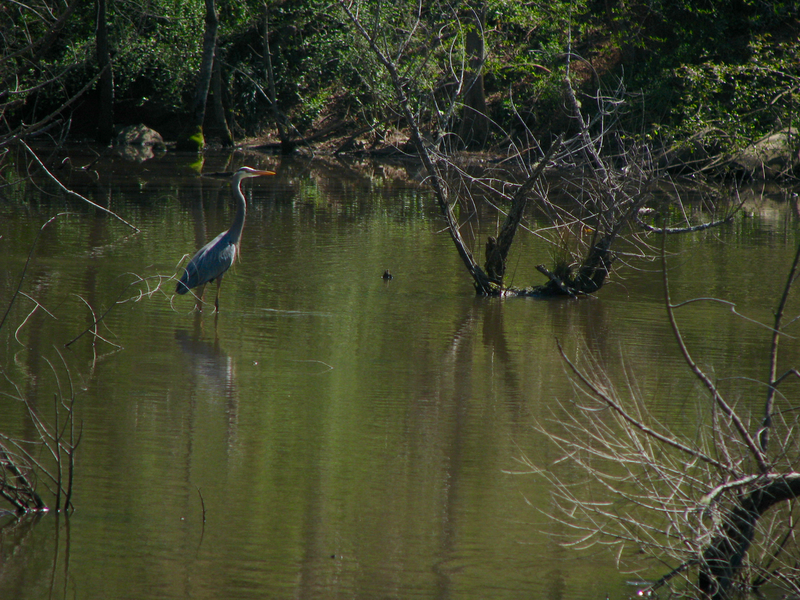 We watched this great blue heron come up empty-handed – empty-beaked? – in his attempt to grab some lunch. 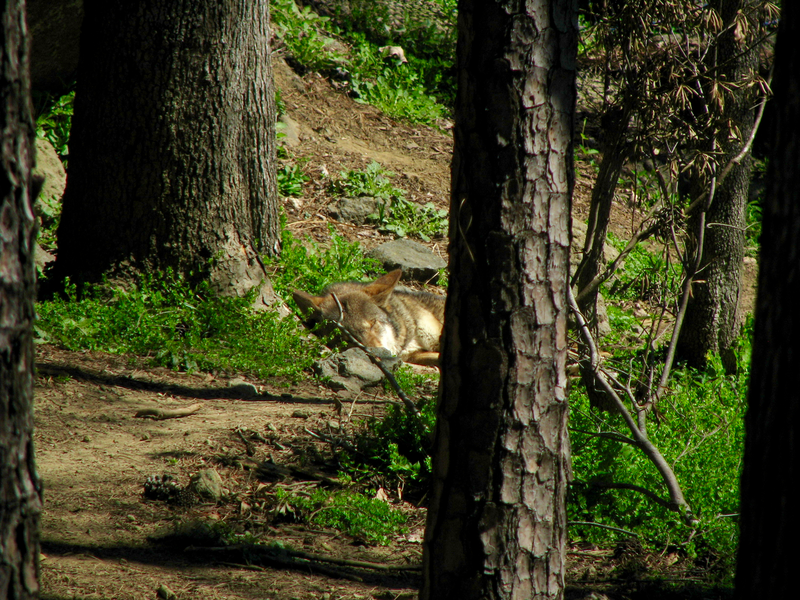 Jack: “What is he dreaming about?” If this red wolf dozing by a tree under the warm sun is anything like my dogs, he’s probably dreaming about dozing by a tree under the warm sun. 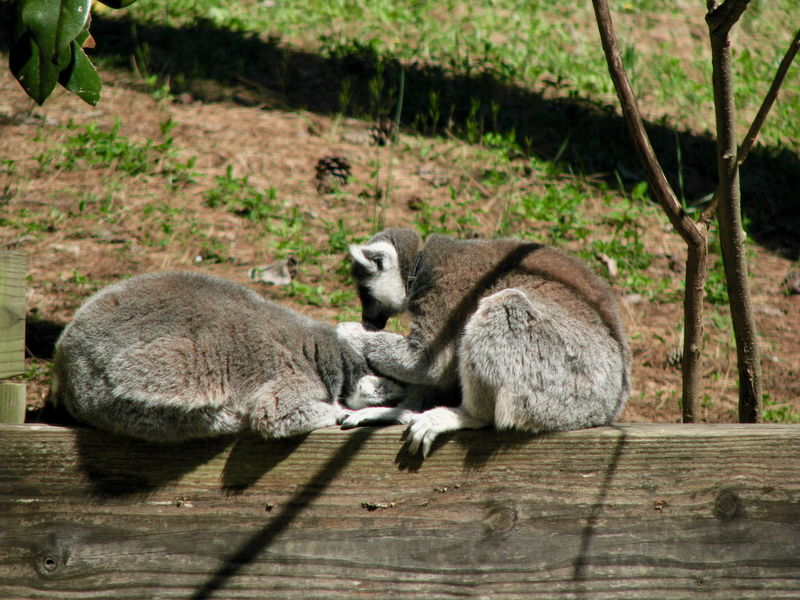 Jack: “The lemurs pick the bugs off each other.” Kaitlin: “And then they eat the bugs!” Well, that seems like the polite thing to do. 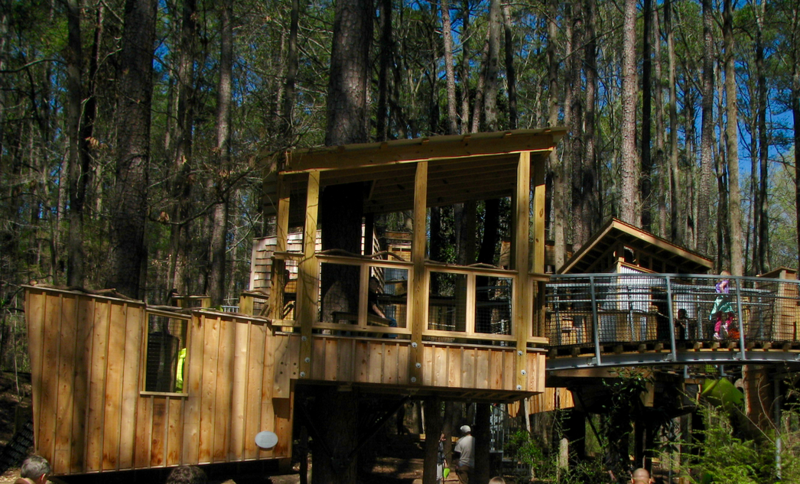 Parents and grandparents – and aunts and uncles – seemed to enjoy watching the kids run wild in Hideaway Woods almost as much as the kids enjoyed running wild. 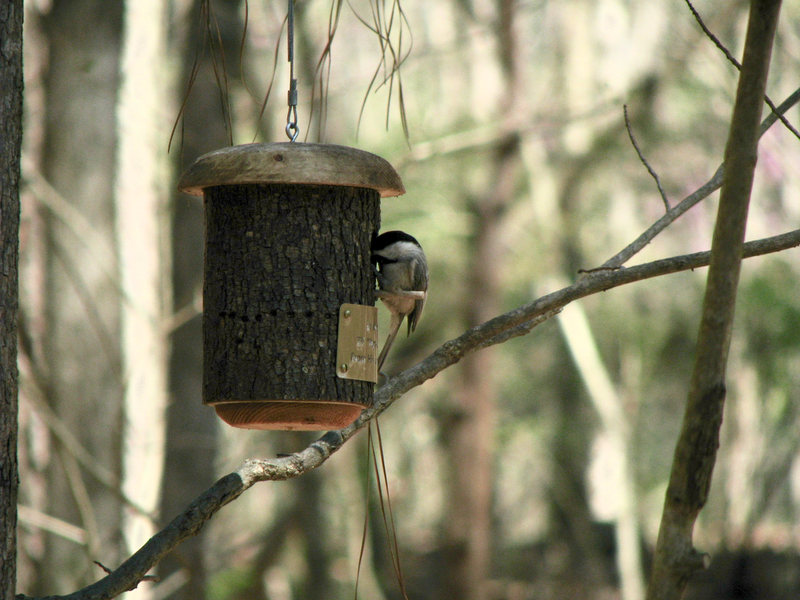 I watched this white-breasted nuthatch bring a few beakfuls of pine straw into this birdhouse, perhaps getting it ready for the season’s eggs. With the kids being safely supervised by Mom, Dad takes a few minutes to consider weighty issues like where to get some barbecue for lunch. 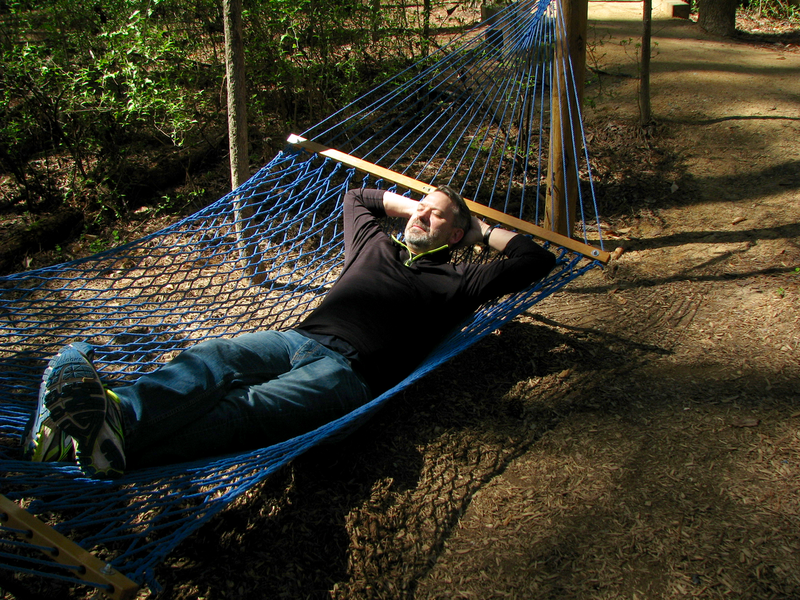 Our visit ended with this view from the hammocks in Hideaway Woods. Walking through the museum grounds, we covered about 1.5 miles. Yes, we’ll go back again. Meanwhile, I’ll study up on lemurs. 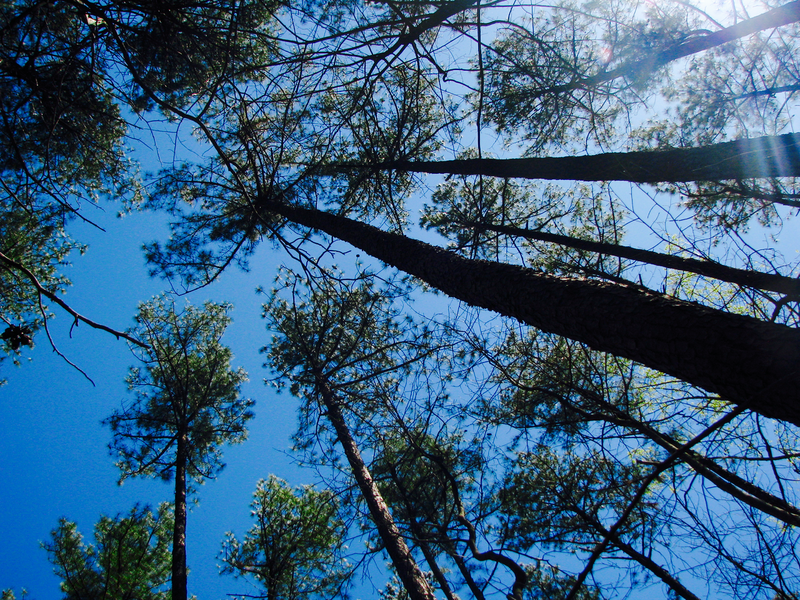 Blue Cross and Blue Shield is a proud supporter of the Museum of Life and Science, sponsoring new trails in Hideaway Woods and the Walk of the Week, a walking program that leads visitors on educational scavenger hunts through the museum’s 84-acre woodlands. Learn more about the Walk of the Week program here.